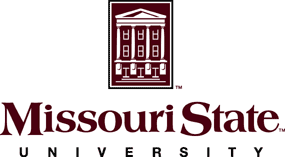 Missouri State University (MSU), long-established university of Midwest US, is inviting applications for its Master’s Degree Program in Administrative Studies with a concentration in Cyber Security, under the Department of Computer Information Systems. The program provides hands-on labs and exercises to teach aspiring Cyber Security professionals how to secure and defend Information Systems from malicious attackers and serve in senior management roles sometimes referred to as Chief Information Security Officer (CISO) or Chief Security Officer (CSO). The cyber security master's degree program provides a 30-hourlevel experience in the field of cyber security. The degree requires minimum 30 hours for the subjects like fundamentals of cyber security, hacker techniques and incident response, cloud computing, IT legal issues in cyber security, telecommunications and network security, web application security, seminar course in cyber security, computer forensics, organizational behavior, project leadership and many more. Information security is vital in every company. This is especially true with companies that deal with sensitive information such as healthcare companies and banks. New security measures are added on a regular basis. As a result the demand for security analysts is high. Companies need to ensure their security policies are up to par and communicated to the company. That is why the number of jobs has increased steadily. Job grown for this title is expected to reach 25% over the next five to ten years. A student who has successfully completed a bachelor degree from a recognized university with a minimum GPA of 2.75 and a GRE score of 290 or above, along with IELTS of 6.0 Bands or a TOEFL iBT of 79. The curriculum offers a global perspective to work in a variety of communication industry settings. The well-organized on and off campus housing facilities at MSU are a boon to Indian students. About Missouri State University: Missouri State University, Missouri, USA established in the year 1905, MSU is the second-largest university in Missouri with over 23,000 students currently studying out of which 1,500 are international students representing over 85 countries worldwide. The Princeton University reviewed it as ‘The Best in the Midwest distinction’. MSU has a world-class faculty with over 90% faculty holding a terminal degree in their field of study. The university comprises of a school of agriculture, a graduate college and six academic colleges namely, College of Arts & Letters, College of Business, College of Health & Human Services, College of Humanities & Public Affair, College of Natural & Applied Sciences and College of Education. MSU provides state-of-the-art facility for its students which include on-campus residence halls and dining centres, a student union, a world-class library, a brand new recreational centre and dedicated academic facilities. Both on-campus and off-campus housing facilities are available at MSU.